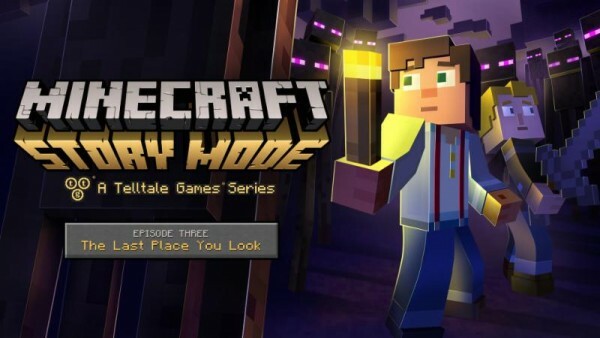 With Telltale Games continuing to follow a rather blistering release pace (for them) with Minecraft: Story Mode episodes the third episode in the series has already been released. This time around the developers waited a month before releasing the third episode in the series, The Last Place You Look, and after a disappointing second episode will this third episode manage to swing things around? As per usual for our reviews of episodic games, it is worth noting that there will be spoilers discussed for past episodes in this review. That means if you have yet to complete the previous episode, Assembly Required, then you should do so before continuing. 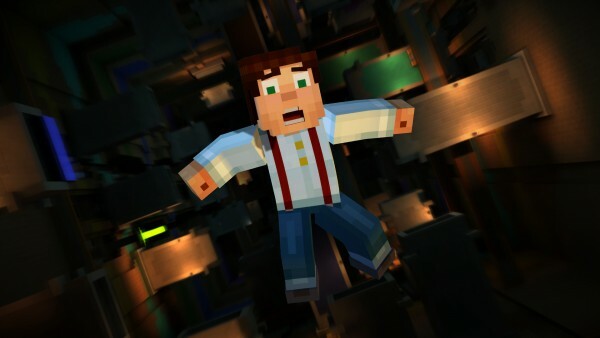 Now that that is out of the way, Minecraft: Story Mode – The Last Place You Look picks up immediately where the story left off with Jesse and the gang facing off against Ivor as he uses a splash potion to slow down the group and walk past them, effectively escaping while locking them in. Abandoned by the two heroes they previously recruited, the group manages to remember that they can actually dig through objects and tunnel out of the room. This leads to a surprisingly action packed opening credit sequence that features Jesse and the rest of the group battling against a large number of monsters while navigating an incredibly dangerous pit-trap that they call a monster grinder. This serves as a great way to pick up the pace of the episode that has unfortunately been lagging in previous episodes and The Last Place You Look keeps up that pace with multiple tense encounters throughout the rest of the episode. 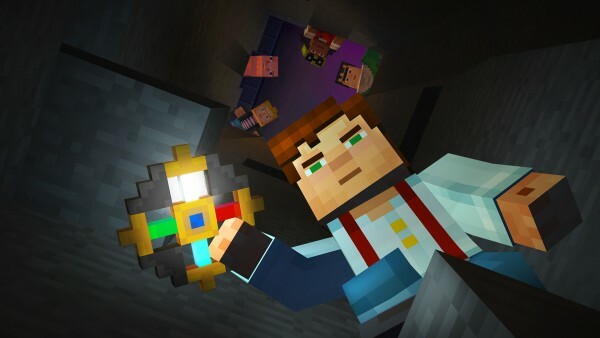 The comedic element also takes a welcoming rise from the ashes as Jesse and the gang work to find Soren and find their journey taking them from the monster filled halls of the aforementioned grinder to The End. With his Master Builder status, Soren’s managed to craft quite a few luxuriously strange areas that the group has to travel through and a number of simple puzzles they must solve as well in order to track him down. This leads to a few running gags and a handful of humorous moments that take place over the course of the episode, especially once the eccentric Soren is found and his latest hobby is revealed. Soren turns out to quickly become a favorite character thanks to his personality traits and way of speaking to people. It is worth noting that some of the side-characters are pushed even further to the background however though it is worth noting that the previously annoying Axel does appear to rub off on Lucas this time around as he grows far more aggressive than previously shown. The fact that these characters are starting to get a bit desperate and acting out leads to few dramatic moments and some actual worthwhile character development here that sees the story actually move forward in a meaningful way that actually feels important rather than simply padding along a kid-friendly journey. 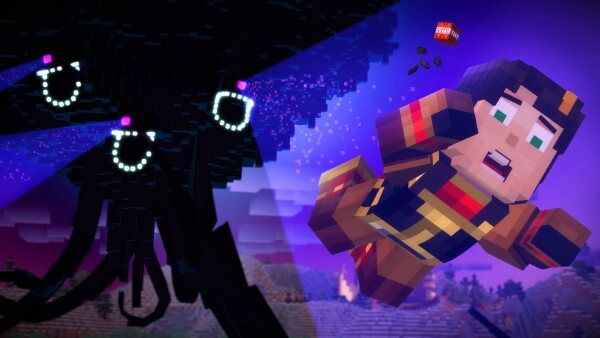 By actually delivering on some drama and providing players a few key choices that may play a larger role in the series, especially since this episode ends after confronting the Witherstorm, Minecraft: Story Mode – The Last Place You Look is a welcome improvement to what we’ve seen so far. Similar to the style of past episodes players will be finding themselves taking part in quick time events to dodge enemy attacks and make various jumps but the slightly more interactive combat system does return to help give players a bit of a change of pace from time to time. The player choices here do seem to carry a little bit of weight though unlike the past episode there are no diverging paths that give players a chance to experience separate events. 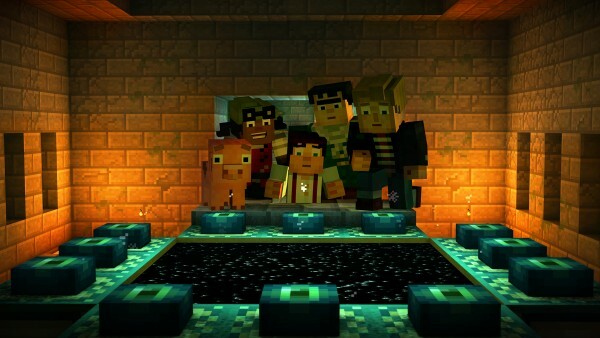 The crafting table also makes something of a small return but unlike past episodes where players can make a joke, there is only one specific item that must be crafted here and it barely makes up a puzzle unlike a handful of other flimsy puzzles that are scattered throughout this episode. Telltale Games continues to be rather impressive when it comes to designing unique looking areas for Jesse and the gang to explore as they travel from place to place. The End as well as some of the contraptions that have been built by Soren make for plenty of varied looking areas while the characters are still presented in the same manner as before, with limited facial expressions that still manage to work well thanks to the visual style of the series. The voice acting remains a fairly impressive highlight here as we see the addition of a new cast member in Soren whose voice actor fits the character’s personality perfectly while the rest of the returning voice actors continue to perform admirably since there are far more humorous jokes to be made this time around than in the previous episode. 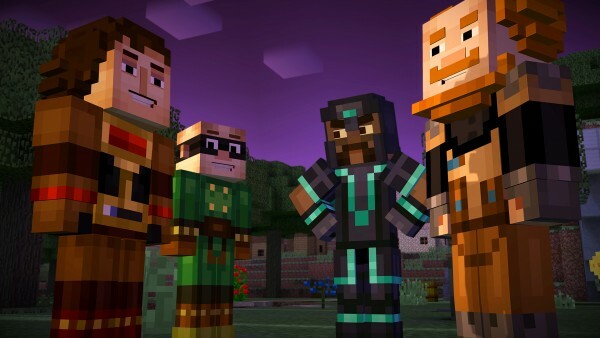 After experiencing the very limited offering that was Assembly Required, Minecraft: Story Mode was in desperate need of a boost and thankfully The Last Place You Look has provided that. While the jokes may not click as often as most would like, this episode does offer some better humor here and there as well as some actual character development and storyline advancement, making it a marked improvement over what we have seen so far and hopefully a sign of better things to come from the series.